If you think mushroom pâtés are always going to be a disappointment, then you've been eating the wrong ones. This very simple, deliciously garlicky version is based on a recipe from Julie Davies, of Crai Organics, who developed it using the organic Shiitakes she cultivates. It works just as well with other mushrooms, fresh, dried, wild or cultivated. If you have any of the pâté left over, try stirring it into a little hot béchamel sauce or some cream to make a delicious mushroom sauce. Clean and trim the mushrooms and chop them finely. Drop in the mushrooms and garlic and sauté, stirring frequently, for 10 minutes, or until all the moisture the mushrooms release has evaporated. Blitz the mushrooms in a food processor until smooth, then add the cream cheese and blitz again until well blended. Season to taste then leave to cool completely. Refrigerate for at least an hour for the garlic flavour to develop. Serve in generous dollops on crostini, or triangles of toast. 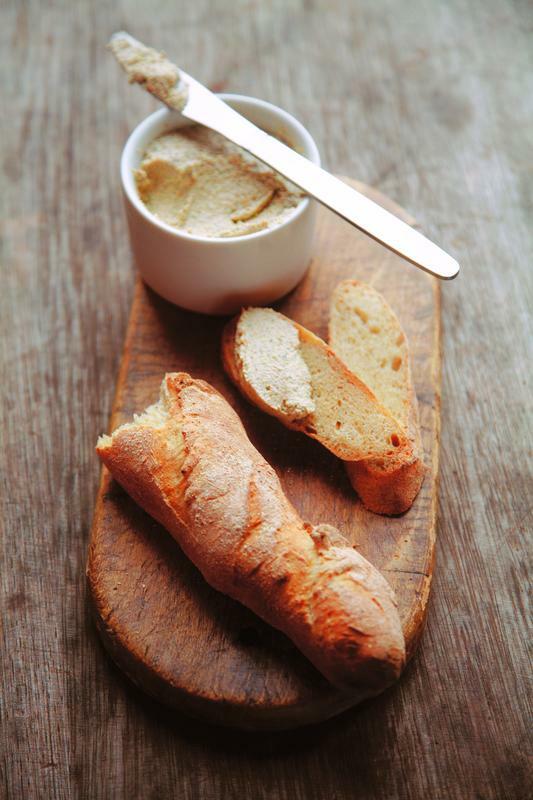 This pâté keeps very well in the fridge for up to a week.